In connection with this year’s Heritage Open Days, Belford Museum is presenting an exhibition on the weekends of 8/9 September and 15/16 September 2018; the exhibition will show the history of Belford High Street. 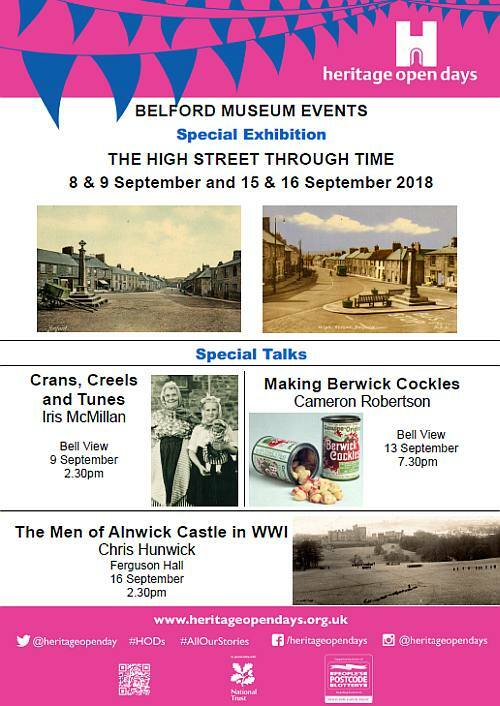 There will also be three special talks across the week, with subjects including the manufacture of Berwick Cockles and Alnwick Castle in WW1. For details see the poster.